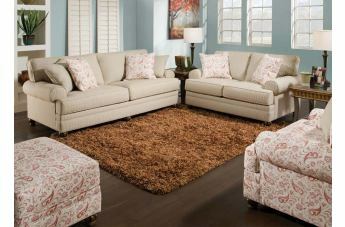 This casually styled living room sofa features a soft-styled elegance with a whisper of contemporary furniture fashion. 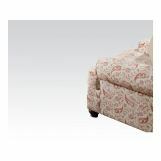 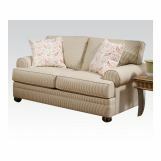 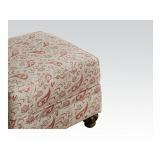 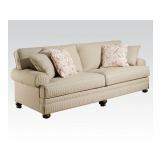 Designed to reflect a casual style, this piece features plush stuffed cushions for relaxed comfort. 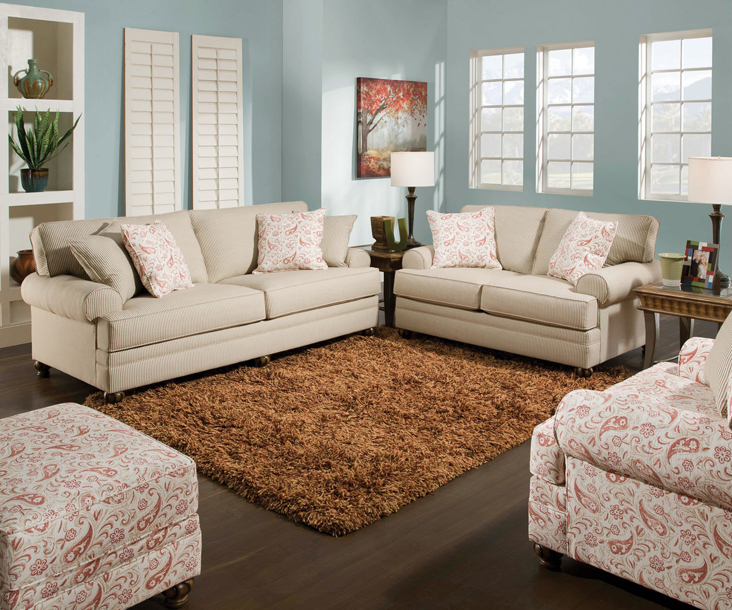 Completed with decorative accent pillows that have a spring-time aura, this couch can be used in casual and transitional living room settings.